Lately I answered many questions about joining us. You can find the combined answers now under a new tab How to join in the upper right hand corner. Here you find our ideas explained and who we are, how it’s organized, what we expect from you, what to do if you want to join us and what to bring. 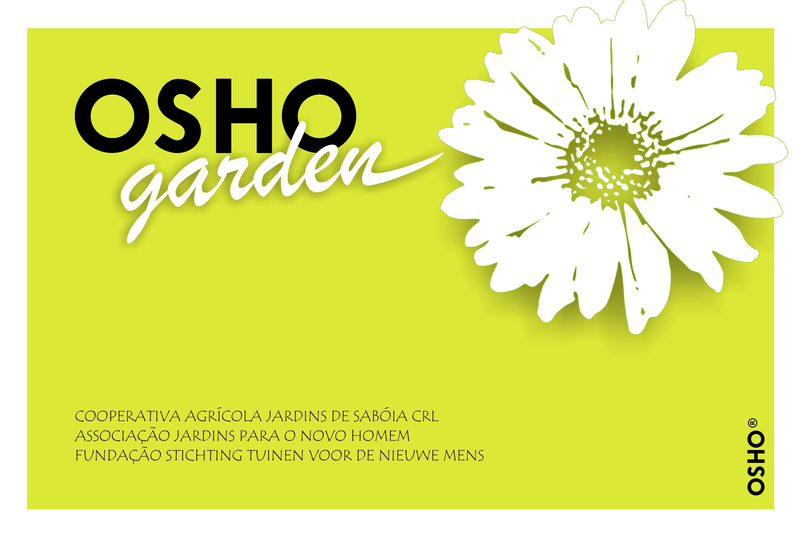 In the picture: The new Osho Garden logo by Kumar. The more I see of nature, the more I feel how complex it is and how little I know about it. I am so grateful that there are people around who help by sharing the secrets that they know, parts of the infinite puzzle of life forms and interactions between them. Of valuable plants and trees and grasses and the big difference they can make on our lives if we put our knowledge at work to cooperate with nature in an intelligent way. 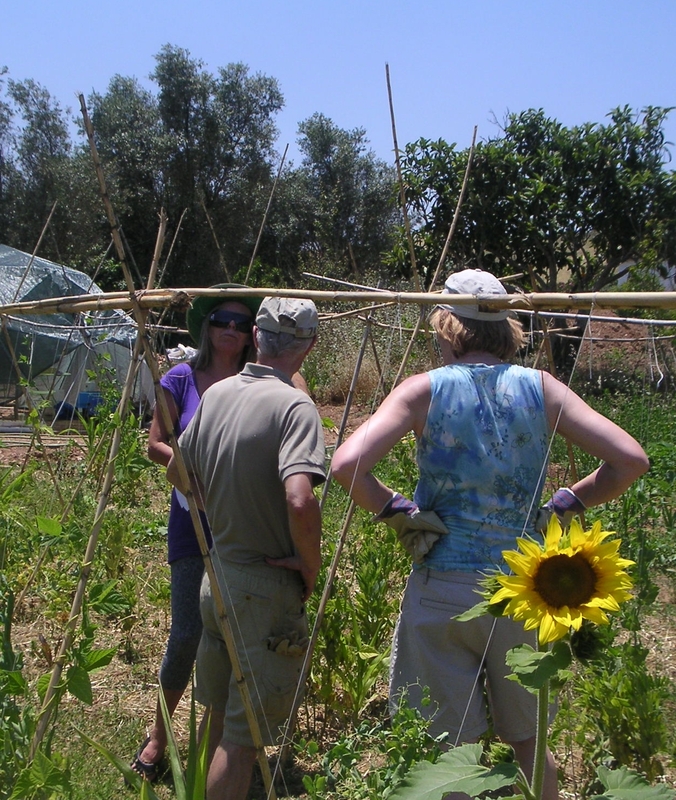 Today Xicca, now also one of Osho’s Permaculture gardeners explained her landscaping vision for our grounds, including an edible tree labyrinth and much more, details to follow. 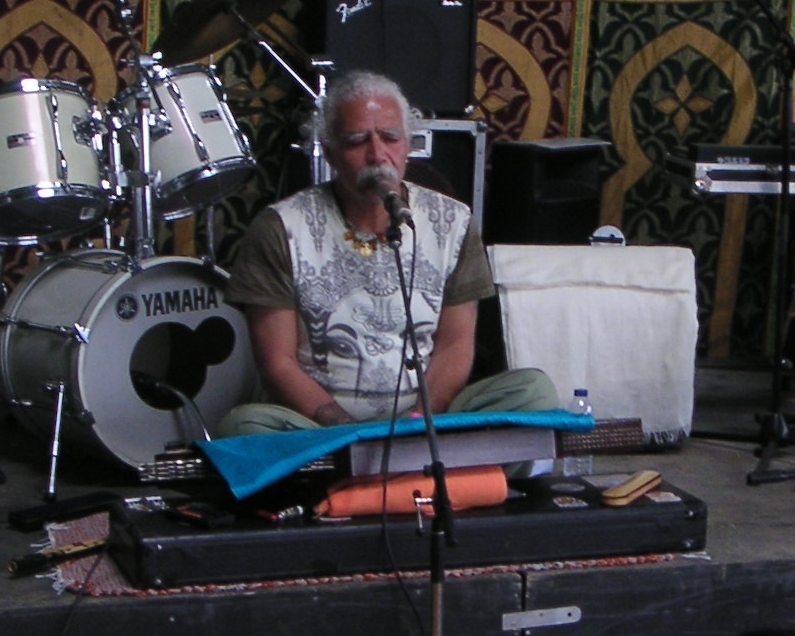 Saturday at the Osho Festival and what a joy to meet so many new friends from many countries who share the love for music and meditation and to dance with them to the live music of Nazca and the Dream Team. Watch Harida and the one hundred blissful Buddhas in action in three video clips from the festival experience today (search for PujariOshoGarden to see them all). 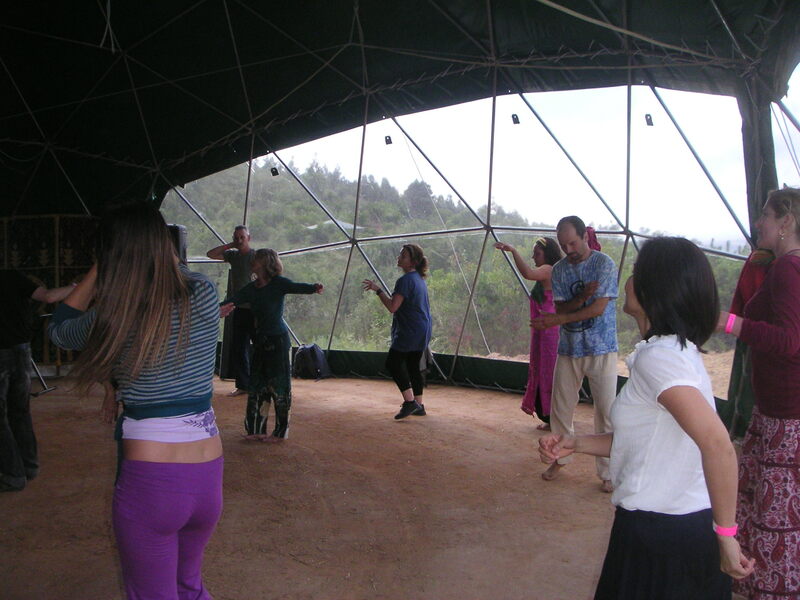 The Osho Festival Portugal opened tonight in a large dome with music, dance and meditation. What a joy to have these great musicians around and so near that you can see our land from these windows. And what a great opening night it was, with a delicious dinner, music and dancing into the night. 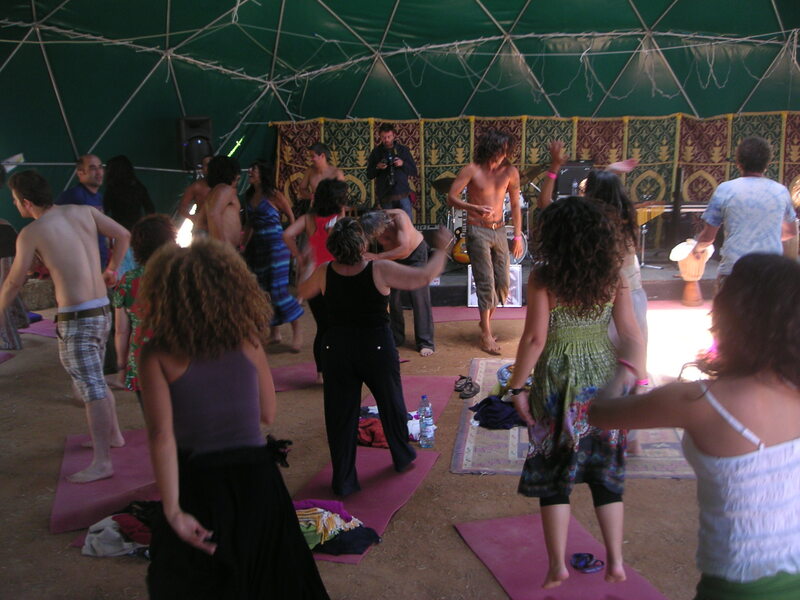 Watch a fragment that I uploaded by typing Osho Festival Portugal in the YouTube search bar. On May 13th I joked about a romance between Oddjob and Ozone. But nothing can come of it when you do it through jumper cables. So me and Oddjob went looking for an adoption baby, see? Ozzi resembles her foster mother most, skin color and all. They call her a micro-excavator. Can crawl into spaces where grown-up excavators can’t go, like entering your house through the door. Oooh noooo! Today I went with Teresa, our architect, to the Câmara Municipal in Odemira for our roof renewal. Our house was built of compacted earth in 1937. 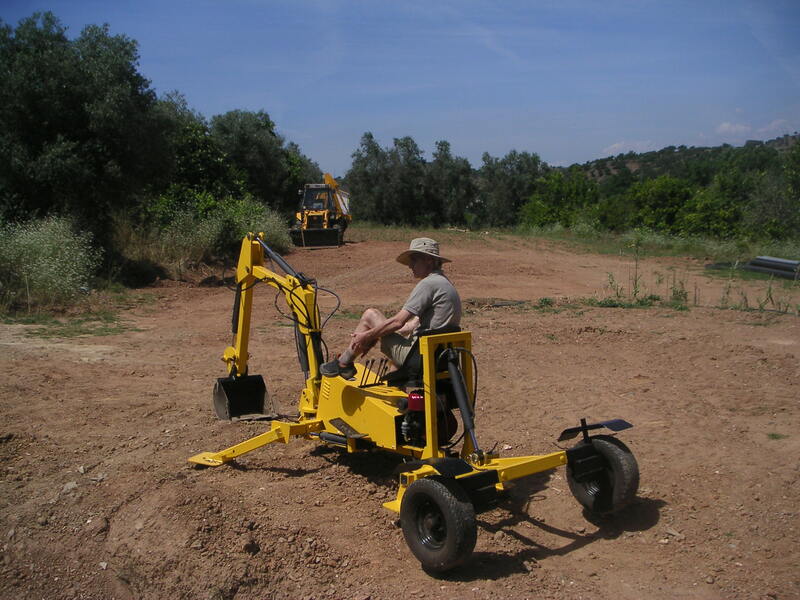 Earth construction is becoming popular again and Teresa asked about our plans for the land, which include better roads, water landscapes, Permaculture, solar energy and also building with earth. 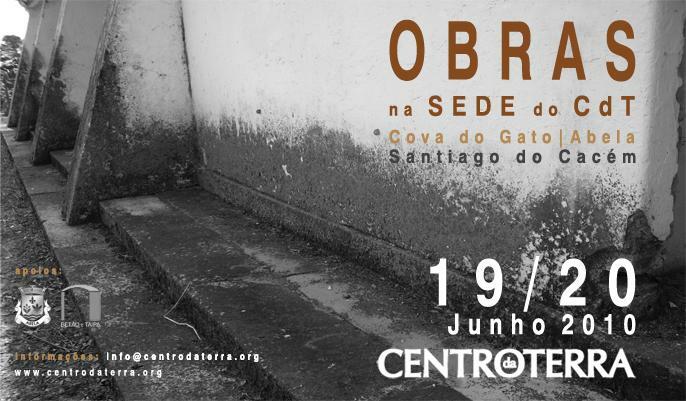 We are lucky that Prembodhi recommended Teresa, who is president of an association of about 60 Portuguese architects that work with earth construction: Centro da Terra. CdT is based in the Alentejo region, like us and they are planning a workshop in September in Santiago do Cacém, not too far from here.